It is human nature when buying a new car to wish for all the bells and whistles, the more with which to impress your next-door neighbor. And don’t forget after-factory add-ons like a booming stereo, GPS navigation system and maybe even an in-dash video. 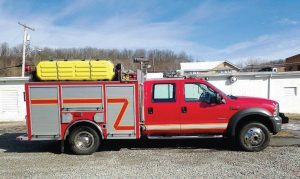 Fire departments have faced similar decisions when a new apparatus was needed, pouring through the catalogs looking for all the latest, biggest and most technological gear for their fleets, even if they are “only” considering a previously owned heavy-duty rescue truck. The tide appears to be changing in some fire departments over the country. Where fire department fleets once were made up of large, heavily outfitted trucks, some are now downsizing to rapid response vehicles. Part of this may be due to (1) a decrease in the number of available personnel; (2) career personnel who leave a smaller department for a larger department with better pay; (3) those career personnel who retire; and (4) departments achieving the same end with smaller apparatuses because keeping a larger vehicle is cost-prohibitive. Robert Avsec, Battalion Chief, retired, of Chesterfield, Va.
Battalion Chief Robert Avsec, retired, not only served with the Chesterfield, Va., Fire and EMS Department for 26 years, but he has also been an instructor for fire, EMS and hazardous materials at the local, state and federal levels, including more than 10 years with the National Fire Academy. “I believe that rapid response vehicles are an increasingly attractive apparatus replacement option for many fire departments, especially volunteer-staff ed departments,” said Avsec. Additional advantages of a smaller chassis include more maneuverability; more economical benefits where cost, fuel and insurance are concerned; and increased safety when operating it, with Avsec noting that a fully equipped fire engine/pumper can weigh 25 tons whereas an average mid-sized car’s curb-weight only tips the scales at 3.4 tons. Barb Bauman of Fire Tec is one of the company’s Fire Truck Ladies who is in charge of selling used fire trucks and apparatuses, including ambulances, wildland/brush vehicles, tankers, aerials and more. Fire Tec does not own any apparatus, per se, but acts as a broker among fire departments across the country. Though she has not noticed the downsizing trend too much in her business, she offered some comments. “Rapid response vehicles have always been good sellers, partly due to the fact that they are usually 4×4, can go places (that) can be a challenge to Type 1 engines and they can still offer good storage space for rescue tools,” said Bauman. 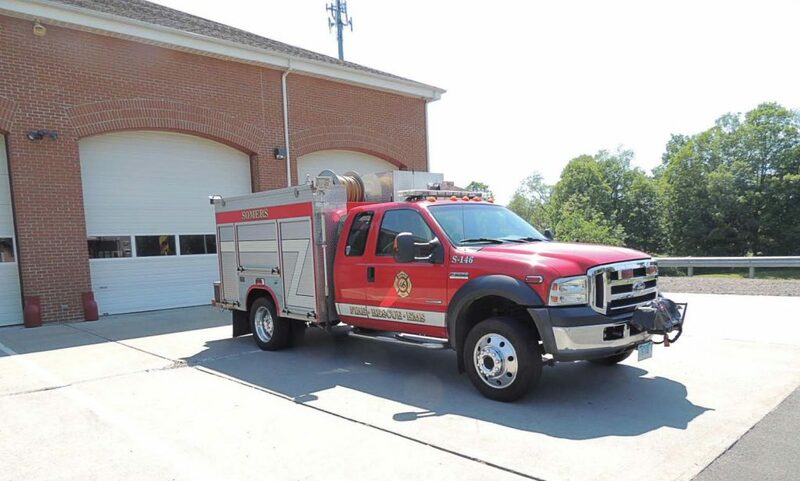 The mini-pumper, as Avsec pointed out, was the original terminology used to describe today’s rapid response vehicle, and with technological changes, this leaner and still fully capable truck has become an acceptable option to the larger full-size fire apparatus. 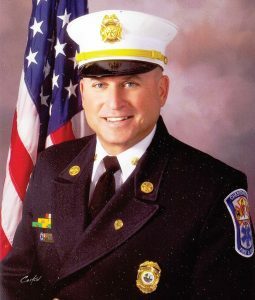 Fire Chief Steven M. Wanczyk, BCO of the borough of Bridgeport, Pa., Fire Department, noted that his department is one of two independently chartered fire companies. “Currently Bridgeport doesn’t have a rescue vehicle, so we have agreements with the boroughs of Norristown and Upper Merion Township,” said Wanczyk, “and they both have rescue vehicles and have mutual aid agreements for any vehicle and residential rescue vehicles. Last June, the Bridgeport Fire Department planned on downsizing its fleet with its three Class A pumpers being reduced to two and one of the two utility vehicles will be sold, according to Wanczyk. That department of two chartered fire companies — Bridgeport Fire Co. No. 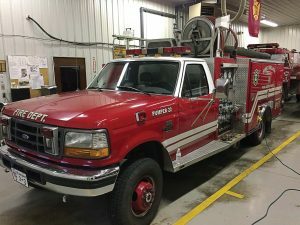 1 and Good Will Fire Co. — uses equipment-sharing with a fleet of one quint, two engines, one utility truck and a command unit.